If you’ve baked Amish Friendship Bread before, you know that it doesn’t take long before you have Amish Friendship Bread starter coming out of your ears. You’ve run out of friends to give baggies to and you’re all baked out. Plus the ongoing care and feeding of Amish Friendship Bread…yes, you need an AFB vacation. So you visit our FAQs and see that you can freeze the starter. What?! And once you freeze it, you can fuhgettaboutit. Seriously?! Yes, seriously. Not only that, the starter will keep indefinitely, as in years. 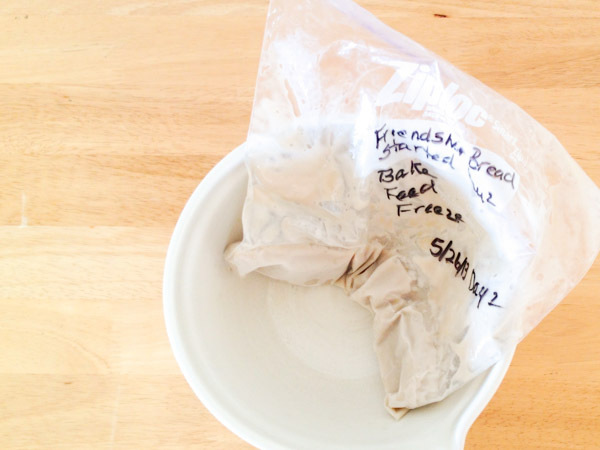 You put 1 cup of starter in a gallon-sized freezer Ziploc, label and date it, and stick it in the freezer. Adios! Fast forward ten years. It’s 2025, and you’ve craving something sweet. 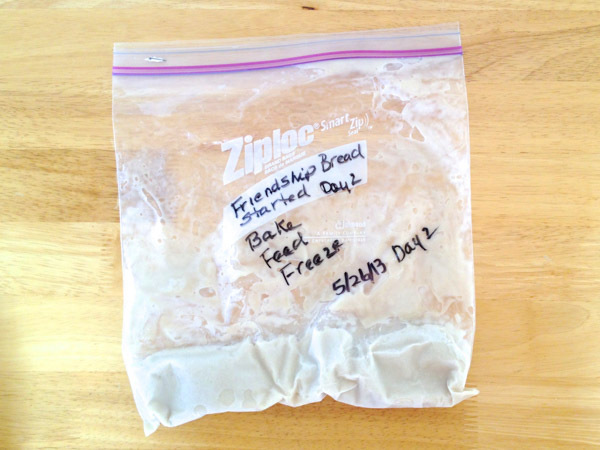 You dig around your freezer and behold…a bag of Amish Friendship Bread starter dated 2015. (Mine is dated 2013, but you get the idea). It’s like a dream come true. So what now? It’s time to revive your starter and get baking. First, dust off the ice crystals and let the bag thaw at room temperature in a large mixing bowl on the counter. Treat it like it’s Day 10: Bake once the starter is thawed, about three to six hours, add 1 ½ cup each sugar, milk and flour. Mix well then divide into 1 cup bags to give away (or re-freeze). Continue following the instructions for baking (result: immediate gratification with starter to keep or give away). If you choose options 3 or 4, you are ready to bake once your starter has thawed. Some people like to let it thaw overnight to give the starter a chance to fully wake up and get active again, but it rarely does without a good feeding so don’t expect to see loads of bubbles, if at all. Once your starter is thawed, give it a good stir, and you’re off. Once it’s thawed or thawed enough to pour into the bowl, in it goes. Give it a good stir. It’ll look like runny pancake batter with little to no bubbles. The smell shouldn’t be sharp, like acetone or nail polish remover, but yeasty (the smell may be faint). 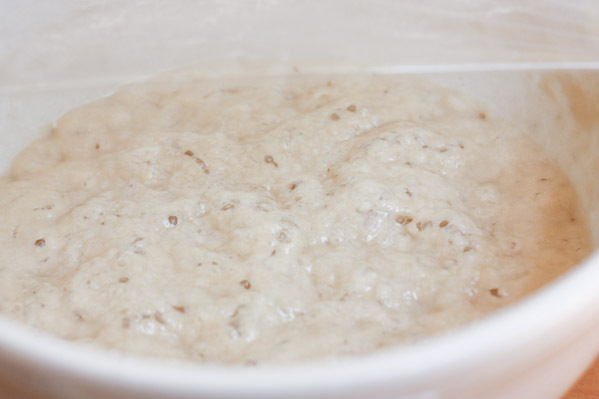 If your starter looks discolored or has an unfamiliar smell, discard it and make a new starter from scratch. 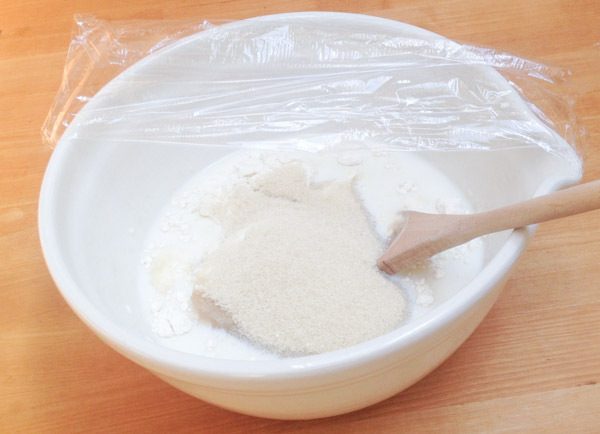 Add 1 cup sugar, 1 cup milk and 1 cup flour. Give it another good stir until all ingredients are incorporated (note: it’s okay if it’s a little lumpy). I used natural cane sugar here, so its brown instead of white. Cover with a loose dishtowel or plastic wrap. Place out of the sun but on your kitchen counter in a draft-free area or in an unused oven (just don’t forget about it or preheat the oven by accident). Keep stirring. Continue through until Day Ten, following the instructions for feeding and dividing your starter. You’ll be baking in no time! IMPORTANT! 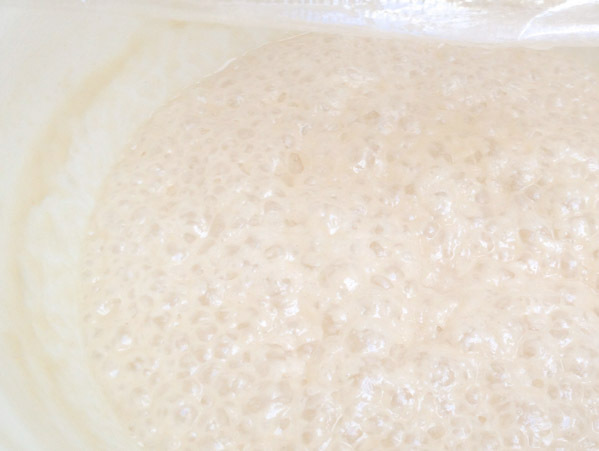 In order to successfully revive a starter, it has to be ACTIVE and HAPPY right before you freeze it. Usually freezing within 24 hours after a freezing is perfect, when you have bubbles and growth and general starter happiness. If you have a flat and unbubbly starter, freezing it and then reviving it if a gamble. Maybe it’ll perk up, maybe not, so make sure your starter is in a good place before it goes in for the deep freeze. I have a quick question that I hope will make sense once I get it typed…..
I’ve got my Amish Friendship Starter going now and will be baking next Thursday. I’d love to share a bag with my daughter, who I won’t be seeing until Christmas Day. Since I don’t have many baking buddies close by, I’ll be freezing extra starter-1 cup per gallon freezer bag-for another day. I’d love to thaw one to bring up to my daughter so she and her family can have fun baking with it and she has a lot of friends who’d love it too. Once thawed, should I feed it 1 cup sugar, 1 cup flour and 1 cup milk, mash it around, then give her that and she would begin the 10 day process the next day? Or do I use the 1 1/2 cup sugar, 1 1/2 cup flour and 1 1/2 cup milk then give it to her? If you’re going to bake on Thursday, make a bag for her then and toss it in the freezer. You can take it out the day you see her. People who receive a bag of starter can treat it like it’s Day 1 (the day you receive your starter) or Day 10 (bake with the 1 cup immediately). I’d recommend that instead of making a new starter IF you have a good starter already going. The flavor (and the history of the starter) is better. Good luck! Thanks so much! That’s what I’ll do-bring a bag of starter up with me and have her begin from day 1. I think my youngest grandson will have fun mooshing the bag and feeding it…..that will be a good project for him. Yay! It really works! Had a hankering for my fave Triple Lemon AFB and pulled out a four year old bag of starter from my freezer. It seemed a bit thin after thawing, so I added a little flour and set it in a warm place for a few hours until slightly bubbly. The whole recipe fits in a bundt pan which makes a really pretty cake with glaze dripping down the sides. Took it to a meeting and it was gobbled up with rave reviews. Thanks so much for the tutorial. I’m pulling out another frozen bag to feed and try the Day one routine. Hi FB gals…I’m ba-a-a-ack!!! Woot! Welcome home, Bessy! And you know we love pictures of those pretty cakes — snap a shot next time! Oh my God this bread I love it so much I sharing it all my friends and I’m still making some have to make some today I thank you. On Day 10 do I have to take out the 4 cups of starter or can I just bake the bread without taking anything out? I would probably take out only 1 cup of starter and freeze it. Hi, I have a question.. Yesterday was my # 10, I did feed the batter but didn’t get to baking it, something came up…anyway, is it OK if it is a day later when I bake it or should I just divide it into 4 and start again..Does it matter if it is a day late baking it?? Hi Lydia! At this point you can bake at ANY time — once you get past the first 10 days, you can either (1) split and share your starter (in 1 cup baggies), (2) split and share and bake, (3) bake all of it (some people don’t want to pass the starter along), (4) bake some of it and freeze the rest (in 1 cup baggies) to bake sometime in the future, AND (finally!) (5) just keep maintaining a starter, baking and sharing as you go. At this point, Day 10 becomes Day 1 and you start the process over again. The starter is also really forgiving so it’s not a big deal if you miss a day or two. The key is to be feeding the starter regularly (if you don’t want to do this, then give it away or freeze it), plus mixing or mashing. Good luck and let us know what you end up baking! Hi, all after all this loving care, I hate to tell you what happened. First, thank you for getting back to me…Anyway, Stella, my batters name, was very happily growing, bubbly, smelled like it should.. Then, yesterday I was going to give Stella a stir because I still had it in the plastic bowl with a lid and it was touching the lid it was so happy…or so I thought. I opened the lid to give it a stir and I HAD a wooden spoon right beside but I put it in the sink and just instinctively reached for a spoon from the dish rack and gave Stella a real good stir with a METAL spoon , put the lid back on and didn’t think anything of it. About 3-4 hours later I was going to divide Stella up as I found your website (love it) and read all kinds of things about freezing, splitting , contamination etc,,so decided to freeze some and bake some. Well, I opened the lid , Stella looked great, nice and bubbly, creamy colour, but it smelled like someone poured a bottle of nail polish remover in it..Wow, it was strong to ! I just couldn’t understand because Stella was so happy a few hours earlier.I picked up the spoon that I used earlier and gave it a stir and it just occurred to me Oh No, a metal spoon !!!! Well I guess that is what happened, , I know I read on your website that if you think it is contaminated, but not to bad maybe it is fixable, and to feed Stella a bit of flour. I took Mount a cup of Stella from the bowl and put it in a zip lock bag and added 1/2 cup flour, mashed it up, zipped it up, talked to it ,lol, …This morning I checked Stella II , and the bag was ready to burst and wow, it smelled like I just took my nail polish off and was making yeast,,, anyway, no it didn’t fix ..So that’s my story, and the point of it was just to let you know how fast it gets contaminated…I guess I have to make some now from the start… Have a great week everyone!! Thanks..
Hi Lydia! That is such a bummer — I know how disappointing it can be when a good starter goes bad. 😉 In the future if you have a great starter going, and you think you’ll be baking every now and then throughout the year, take a cup of that growing starter and freeze it. Then in case anything happens you’ll have some of the original starter to work with again. Plastic is also not a great container for starter because there is so much happening during the fermentation process — it could pull other bacteria from the plastic even if it’s been cleaned and sanitized a million times. I’d recommend considering glass. Ziploc bags don’t seem to be a problem though, but you can’t really grow more than a couple of cups in it. I’m glad to know that starters can be frozen. When taken out of the freezer, the starter can be counted as Day 1, Day 6, or Day 10. If the starter is given to someone it’s Day 1. But I could start it on Day 10. Is that correct? Are the other nine days unnecessary in the process then ? How important are the nine days of processing? Hi Sue! So once a starter has gone through at least one 10 day period, it is ready to go. You can bake immediately or maintain, which means feeding it every 5-6 days if it is at room temperature. The reason you want to do this is because the starter becomes more flavorful with each feeding, but yes, if you take it out of the freezer you can treat it as Day1, Day 6 or Day 10, which would either be a baking day or an add ingredients, split/share, and baking day. I bake straight from the freezer all of the time (after it thaws, of course), but if I have more time I will give it one feeding just to get it going again. This gives me enough to bake with as well as enough to throw back in the freezer for next time. Hope this helps! I am so excited to start the starter and then freeze it because I stopped making friendship bread because I was overloaded with baggies of starter. Now, I can use the starter when I want and keep freezing it and give it away as a gift with recipes and your site. Can’t wait to get started. Thanks so much for this post. I must have six bags of starter in the freezer and I didn’t want to start all over at day one and then freeze more. I wasn’t sure if I could just start at day 10 so again thanks! I’m so happy this website exists! Thank you!! Just a quick question: my starter is pretty good. At one time it was producing a good bit of air but it really hasn’t been lately. Is there a way to make a “meh” starter a “wow!” starter? Or should I just start over? Hi Ashleigh! I’m so happy you found us! I would try to feed it more often, even if it means pouring some of the starter out if you get overwhelmed. Starters are happiest when they are fed often and kept in warm, cozy kitchens. The idea behind an older starter is that the flavor develops, and it’s always fun to say you’ve had your starter for ages. 🙂 But if you can’t get it going again (and you should definitely be seeing bubbles and activity 12-24 hours after a feeding), then I’d either find someone with a thriving or starter or make your own again. 🙂 Good luck! You’re welcome, Debbie! Happy baking! Thanks for posting the great options. I received my started a couple of days ago and will be in a hotel on day 10. Would it mess the process up if I divided it out and then baked my portion on day 8? I got my start out of the freezer and started it like day 1 now on day 6 i added the 1cuo sugar 1cup flour 1cup milk. But itbhas not swelled or anything does this mean it is no good? Have i ruined it? Or do i continue on ? I have a starter that is currently on Day 5. I realized that with family coming in, I would rather hold off on this one and start it to bake at the end of next week. Is it okay to freeze today since it’s on Day 5? Or should I wait and freeze it on another day?If it’s okay to freeze today, then once I thaw it, which Day should I begin on? Thanks for your help!! You can go ahead and freeze it now and then 4-5 days before they arrive, take it out and continue feeding it (so feed it on Day 6, mash it daily until Day 10, when you do a final feed, divide and/or bake). Since it’s so close I would personally just keep it on the counter and follow the feeding schedule, except on Day 10, do a Day 6 feeding and don’t divide. This does mean that you’ll end up with more starter, which you could then freeze or give away, but then you don’t stress the starter by putting it in and out of the freezer for such a short period of time (it’ll be fine if you do, though). Hope this helps! Thanks so much for your quick reply! I decided not to freeze. I feed on Day 6. Today is my second Day 10. I’d like to hold off and bake it Friday. Is it okay to do so? I didn’t do anything to it today besides mash, keeping my fingers crossed that an extra couple of days won’t hurt. Thanks again! Thank you so much for this information. I’ve been cooking friendship bread for nearly 10 years. The longest batch I had going led to 10 sets. I grew tired of having to throw starters away because nobody wanted them or was continuing their own. I never thought I could freeze them, until I learned differently tonight. Ironically, I am due to fix my first two loaves tomorrow, creating two fresh starters. One will be frozen, and since I have a food saver now…..that’s how it will go. I will freeze in a container immediately and once frozen, vacuum seal it. I do have one question, you stated mixing the batter in plastic can become an issue, but freezing in the plastic is fine. I have a 2 cup freezer container that would be perfect for my intentions. Would it be ok, in your opinion to freeze it in this plastic ziploc container (loaf shaped) instead of a bag? The only reason we recommend the Ziploc bag is because each bag contains one cup of starter (not two), which makes it easy to grab a bag when you want to bake. If you have two cups of starter in a container, you have to thaw the whole thing in order to get your one cup, and then you’ll have a second cup left over. If you want to bake it all, however, then it should be fine. Keeping it in a baggie also makes it easier to shove it into the corner of your freezer so it doesn’t take up as much space, LOL. Good luck! Do you have to bake the AFB in a glass pan or can it be metal, such as aluminum? And what am I doing wrong if the outside of my bread is kind of hard. It tastes good but the crust is hard. Bake it in regular loaf pans, the oxo ones are amazing. I was just gifted a set of two, and there is hardly any clean up. The bread comes out nice and clean. When you are mixing it, that is when you want to use glass. I use to use plastic but after researching this site I went to glass. As to the outside being crunchy, perhaps the internal temperature of your oven is a little hotter then it registers. Try baking at 45 minutes. Hi Bonnie! If the crust is too hard, either you’re baking it at the wrong temperature or the plan is too close to the heating element. You can try to cover it with foil for the last 15-20 minutes if this continues to be a problem. Aluminum is not a good idea, but a coated metal pan is fine. If there are scratches in the pan, however, so that the metal shows through, it could affect the batter. We use nonstick metals pans and ceramic pans in the Kitchen. Hope this helps! I found 9 bags dated 3/14/09, any suggestions? Hi Kristy! Sadly I’d recommend tossing them — they’ll survive in the freezer unfed but not in the fridge, and 3 weeks is a long time. You should only freeze starter that is active and thriving — freezing old or inactive starter just results in taking up freezer space with something that will most likely fail when you try to revive it. Hope this helps! Does freezing work for the sugarless starter, too? When I did this years ago, when the kids were little, I’m pretty sure I followed the usual recipe (just with soy milk instead). Those starter bags in the freezer did great. This time around, though, I can’t have the sugar, so can I put this one’s extras in the freezer, too, or does it need the sugar to help with the freezing? You’re welcome, Karma! I hope you have fun and please share any photos of what you make! 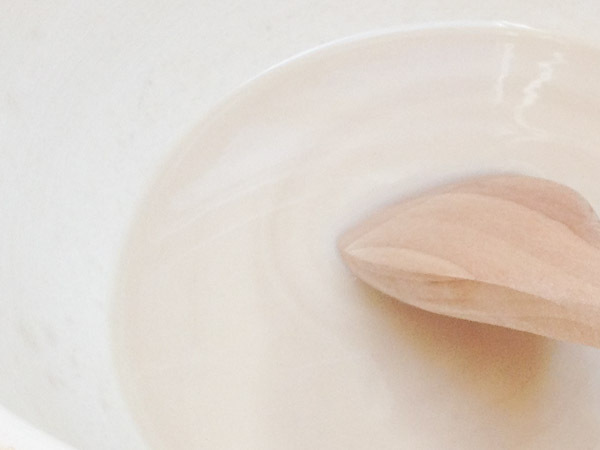 I wouldn’t recommend wood — use glass or BPA-free plastic. 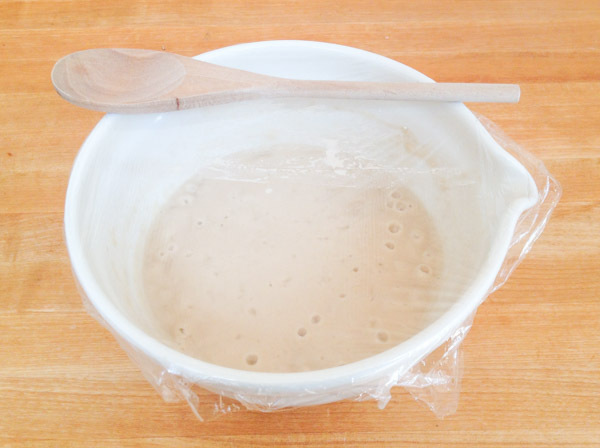 Since the starter is sitting in the bowl for a long period of time, it could leach stuff from the wood. You always treat it as Day 6 coming out of the freezer. Make sure your starter is active and bubbly when you freeze it — a flat starter going in will be a flat starter coming out! My starter has been in freezer since 2015. Got a bag it and let it thaw. It smelled yeasty when I first got out but i think it has a vinegar smell now. What do u think? I would give it a small feeding — 1 cup flour, 1 cup sugar, 1 cup milk (you can add the milk slowly and use less if your starter is really runny). Give it a couple of days and see if it revives — it’s definitely worth keeping active starters that are older (more flavor and history!) but you want to make sure it’s in good shape. If you get good bubbles with 24 hours of a feeding, you’re good to go! If i do get bubbles what day would this be considered? Some people get bubbles most days, so it’s not really considered a specific day, but if you get bubbles after defrosting your starter without adding any new ingredients, I would treat it as Day 1. Day 1 (if you didn’t add ingredients) — if you did add ingredients and got bubbles, then Day 6. Some people get bubbles for several days during the 10 day period so it’s not necessarily related to one specific day. Does it matter what day of the 10 day cycle I freeze the starter, once it has completed at least one 10 day cycle? Not sure how old the starter is as I received it from my daughter, who had received it from a friend. I went through the 10 day cycle once and divided some and baked a couple, but don’t have that many people to pass on to so wanted to freeze before dividing again. Also, what day do I consider it when I thaw it? Hi Angela! Yes, it does matter. You want to freeze it when it’s really active, so the day of or day after a feeding. Those starters perk up immediately (or within a few hours) when it comes time to defrost them. If you freeze a flat (inactive/quiet starter), it sometimes doesn’t have enough oomph to kick start again (though I have had luck feeding them immediately but it’s hit or miss). So for best results, freeze after you’ve seen your starter bubble up and get frothy. I really want to be able to bake whenever I want (more frequently than every 10 days) after the first cycle, but I am confused about how to do this. I have seen a couple of places where you have mentioned using a “running starter,” I was wondering what you meant by this and how to maintain it. Can I freeze and thaw Potato Flake Starter like your instructions on regular starter? Hi my name is Jennie. Today I thawed a 1 cup starter, I’m treating it like day 10. I don’t want to have leftovers. Besides 1 cup of sugar, 1 cup of milk and 1 cup of flour, what other ingredients should I need? Thank you for your help. Hi Jennie! If you don’t want to have any leftover starter, don’t feed the thawed starter before baking. Just let your starter thaw, then bake with it. If you want starter left over to save or give away, feed it with 1½ cup each of sugar, milk, and flour. Mix well, then bake with one cup and divide the rest of the starter into one cup bags. Happy baking! This website is SO fantastic!! So am I reading this right, I’ve got my thawed starter and I want zero leftover, so I’m literally pouring the entire bag into my loaf pan and baking, adding nothing… is this correct? Just sugar and cinnamon my loaf pan and bake on 325? I had to toss a starter I had because it was no longer active. My friend had one in her freezer and gave it to me so I can start again. She froze it on day 10 (so it had the ingredients added from day 6 when she froze). Now that it’s thawed, I want to bake, but not sure how to treat it. Do I need to add anything to it since it already had the 1 cup milk, flour and sugar? Or do I still need to add 1 cup milk, flour and sugar? If I do, how much batter would that be? Would I need to divide it up into more than 4 bags? Hi Holly! What you do with your starter depends on how much leftover starter you want. If you just want to bake and be done, with no starter left, then let your starter thaw and bake with it. 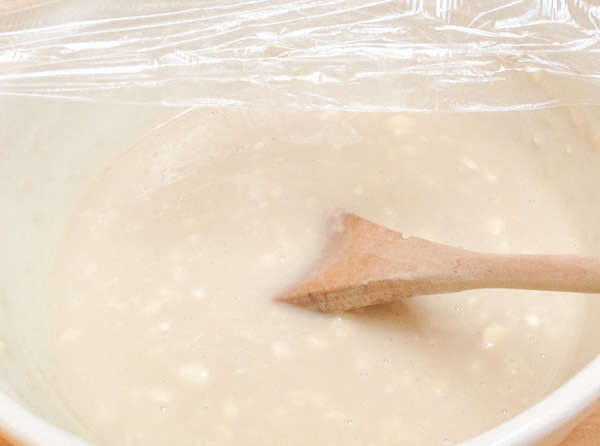 If you want starter leftover, then let your starter thaw, add 1 1/2 cups of milk, flour, and sugar, separate your starter into bags, and bake with one portion. 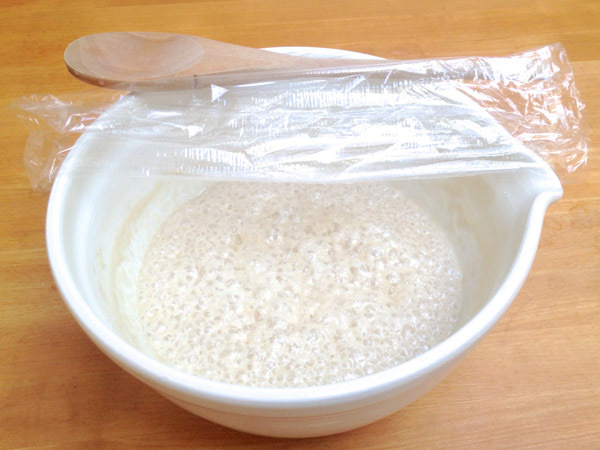 If you’re not ready to bake, just let your starter thaw, and feed it like its Day 6. Happy Baking! i’m a bit confused…. i went thru the process to day 10 which adds flour, milk, sugar. on day 11, i read directions to make bread and it indicates to take the starter and divide it into 3 bags; one cup each and then go forward with the recipe as detailed. i didn’t have extra 3 cups of starter and still have the one cup to make bread. what am i doing???? originally i made starter and divided it into 3 different containers and l cup to make . Hi Sandra! Not everyone will have 3 bags of starter + 1 cup to bake with on Day 10, but you should have at least a couple of cups. The reason why is that you begin on Day 1 with 1 cup of starter (either given to you or made from scratch). On Day 6, you feed it with 1 cup flour, 1 cup sugar, 1 cup milk. Then on Day 10, you feed it again, with 1½ cup flour, 1½ cup sugar, 1½ cup milk. Once everything is well mixed, THEN you divide it into 1 cup portions. Over the course of 10 days, you’ve added 7½ cups of ingredients to your original 1 cup! Of course, a lot of the sugar is metabolized by the starter, but that’s still a significant amount of starter left over. So on Day 10, after you’ve divided the starter, you keep one and give the rest away. You bake on Day 10 with that one cup of starter. Unless you keep any of the extra starter for yourself, you won’t have any left over for you. Does that help? There is technically no Day 11. If you keep an extra cup of starter to begin the cycle again, it becomes Day 1 with that one cup of starter and you go through the 10-day process once more.